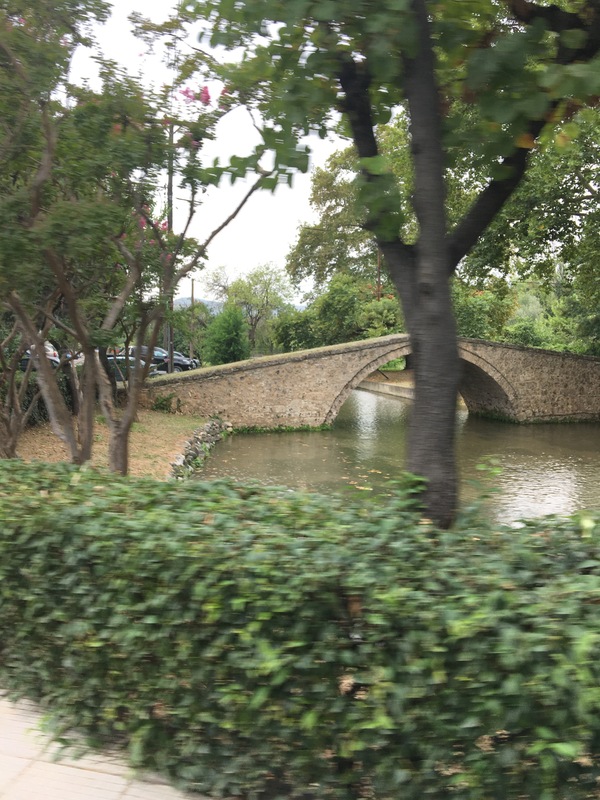 Normally you google some place adding in motorhome and you can find others who have visited and hopefully a suitable parking place, but Edessa seemed to be an expection. Nevertheless that wasn’t going to put us off…. 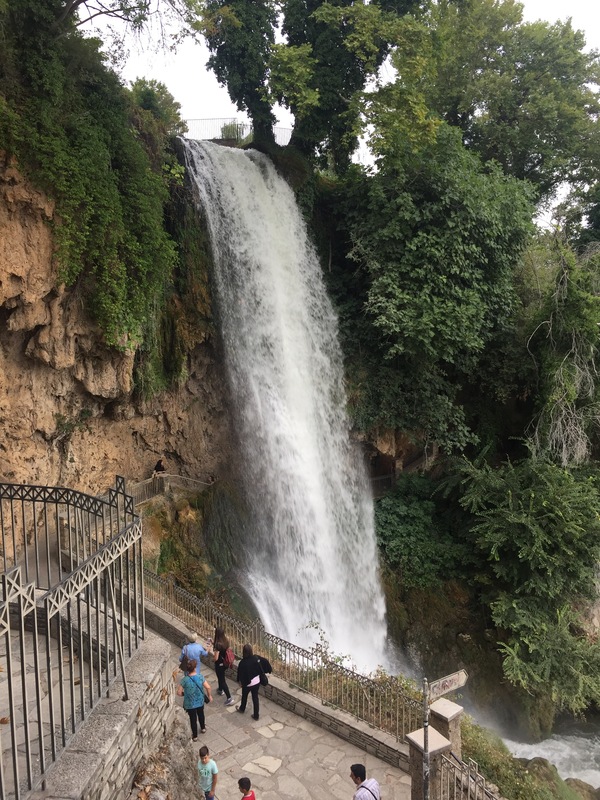 Said to fall from a height of 70m in total, the Edessa Waterfalls were definitely the main attraction of the Edessa town. And in typical Greek style, we knew that we were never far from history so it turned out that the city neighboring the falls was said to be founded since pre-historic times. However, the current relics of the walled city probably came about since the 4th to 6th century BC. Given the country’s reputation for having very hot Summers, with a relatively dry Mediterranean climate ( currently most days we hit high 30’s) , it was amazing that this was a rare year-round waterfall with high flow. 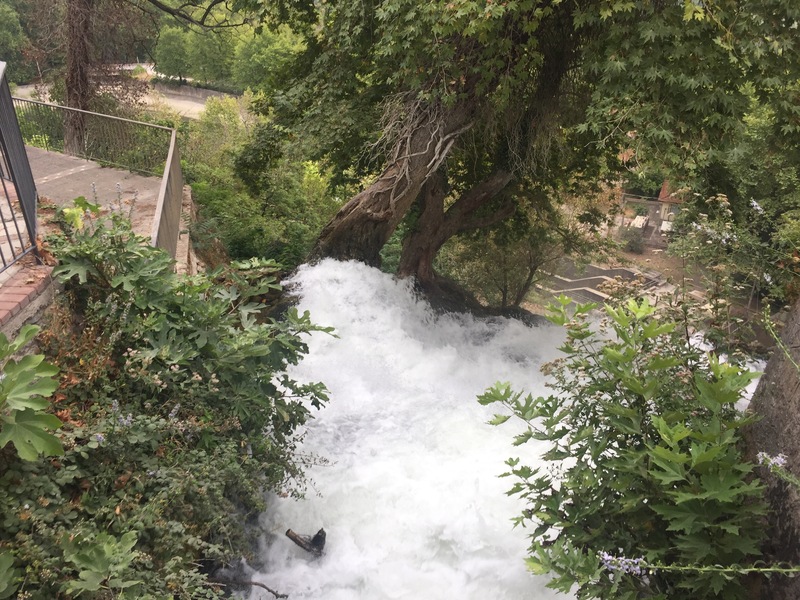 it’s said that even in the Summer, Edessa can be refreshingly cool from the mist generated by the waterfalls.